First, prepare your class by using interviews with 17th century characters to spark discussion. Then, stage your own classroom performance with a simple script. Compare and contrast cultures, use technology tools, and create personal timelines! Speak with Pilgrims, discover Wampanoag culture, and interactively explore the Mayflower. Access, explore, and synthesize information on colonial life, Wampanoag culture, and the first Thanksgiving. From picturesque Plimoth Plantation, a host of characters breathe life into the story of daily life for the settlers. 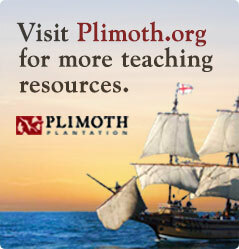 Explore Plimoth Plantation with your class! Read letters from a Pilgrim girl and a Wampanoag boy and listen as audio brings their stories to life. Explore the interactive scrapbook of young Mayflower passenger Patience Whipple. Find old favorites and new titles for every grade level at The Teacher Store. 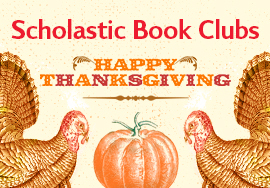 Celebrate Thanksgiving with books from Scholastic Book Clubs. 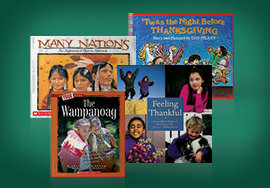 Choose from 20 participatory projects to engage students and bring the values and history of Thanksgiving to your classroom. Get free printables, bulletin boards, and crafts from Scholastic Teachables. Brighten your walls with this festive clip art to celebrate the season. 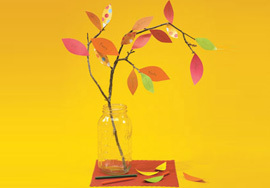 Decorate your classroom and your students’ Thanksgiving tables with these colorful crafts.